Youngster across the Region were encouraged to make a personal commitment to action in a recent Youth Day message delivered by Dr. Hilary Brown, Programme Manager, Culture and Community Development at the CARICOM Secretariat. She delivered the message in Belize on Friday on behalf of Ambassador Irwin LaRocque, Secretary-General of the Caribbean Community. It’s wonderful to be here with so many youth leaders to celebrate Caribbean Youth Day 2016 and to represent the Secretary-General of the Caribbean Community, Ambassador Irwin LaRocque. Having just completed very successfully, the Fourth Caribbean Youth Leaders Summit, I know that there are plans and projects in train to move “from rhetoric to action” and implement much of what was discussed over the past two days. I hope you have a fresh perspective on a number of issues from the sessions you attended with the expert facilitators during the Summit and will share these with your youth networks at home. 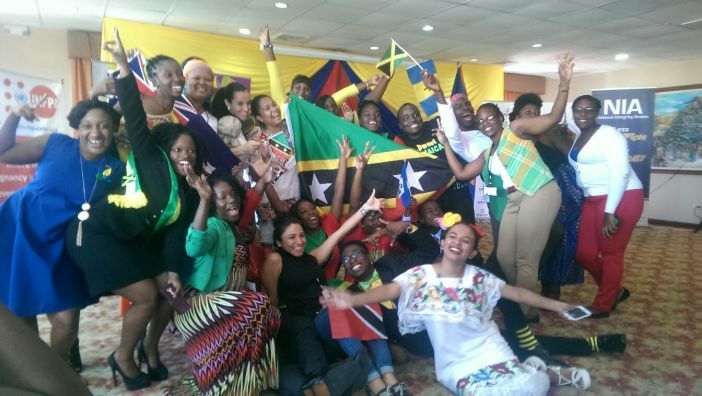 Caribbean Youth Day is when we focus on you who make up approximately 64% of the region’s population who are under 30 years. As the vision statement of the CARICOM Youth Development Action Plan (CYDAP) states, we would like to help you to become “Secure, valued and empowered adolescents and youth realising your full potential and contributing to a sustainable Caribbean Community.” We have discussed the CYDAP and other frameworks like Agenda 2030 and the Commonwealth Youth Development Index during the Summit and what we know is that none of these frameworks are relevant unless we make them a living, breathing, reality in our lives every day. These are trends across the western world, and though we don’t have comparable data for the Caribbean, this is great news based on evidence, that strengthening the protective factors for youth, namely the family, school, church and community yields positive results. And this is what all the international and regional frameworks we’ve been discussing seek to achieve, to empower young people to make good choices, live longer, realise their dreams and contribute to, in our case, a better Caribbean Community. Partnerships we know are critical to realising these objectives, so we are all grateful to the Government of Belize, especially the Department of Youth Services, for demonstrating their commitment to youth development by hosting these events this week; to the Caribbean Regional Youth Council who led the planning and execution; to UWI SALISES, the Commonwealth Secretariat and our UN partners (UNDESA and UNFPA); the private sector and other partners for their participation and support. I have thoroughly enjoyed being here this week, interacting with and being inspired by young people. We have all benefitted or contributed in one way or another to the Summit, but the responsibility for follow-up action is on each of us: Government representatives, youth leaders and practitioners and our partners. Let’s keep in touch and let us all make a personal commitment to action what we learned or promised to do during this week’s events. It is my pleasure on behalf of the Caribbean Community to wish you all a meaningful and happy Caribbean Youth Day!